2. Wet type pneumatic clutch with safety solenoid valve, lower noise and longer service life. 3. Best quality gears, bushes, cylinders, link rods and ball screw ensure the high performance, high reliability and longer service life. 4. Hydraulic overload protected system is standard equipped. The press will stop with oil pressure release if overload to protect the press and the die. It is easy to reset to normal status. 5. 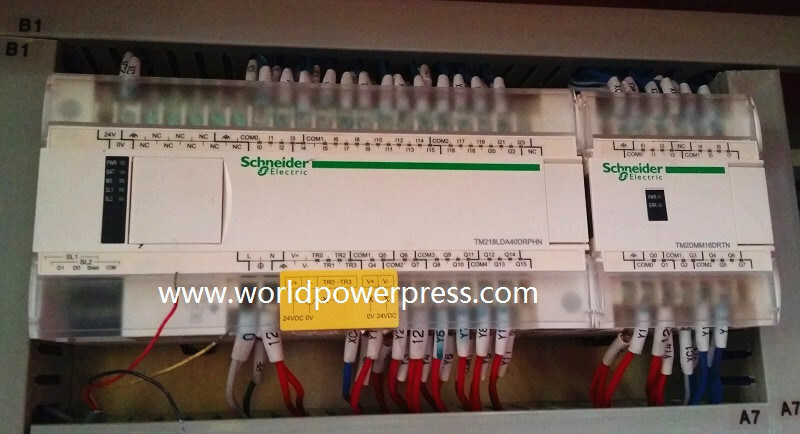 PLC control, Omron or Panasonic brand, high quality with global warranty. 6. Double hands control buttons, touch screen control panel, cam controller with encoder. 7. Slide adjust motor is equipped on the back of the slide. 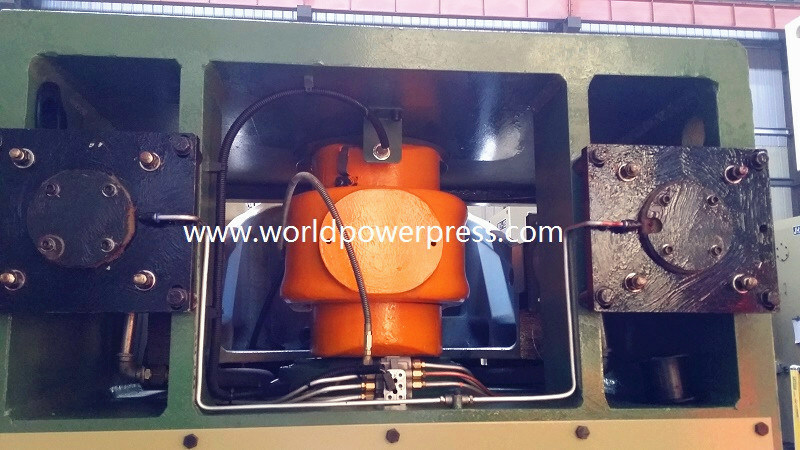 This position is better to protect the motor and the press is more compact in this way. The slide is motorized adjusted with digital displayer. 8. Center auto grease lubrication system is standard equipped and the lubrication frequency can be setted with the touchscreen. In the meanwhile, manual thin oil lubrication system is equipped too. - one year warranty for whole press. - all spare parts are available as we produce most of the parts in our factory. - it is easy to get the electric parts as all are international famous brands. - we can provide technical support via email, phone or video. - we can send out engineers for service, installation or training with reasonable additional cost. - English operation and maintenance manual is provided with the press. - All safety warning tags and control panels are in English. - J23 and JH23 inclinable eccentric press, capacity from 6.3ton to 125ton. - JH21 cÂ frame single crank press, capacity from 25ton to 400ton. - JH31 semi-straight side single crank press, capacity from 110ton to 400ton. - JW31 HÂ frame single crank press, capacity from 110ton to 400ton. - JH25 cÂ frame double crank press, capacity from 110ton to 315ton. 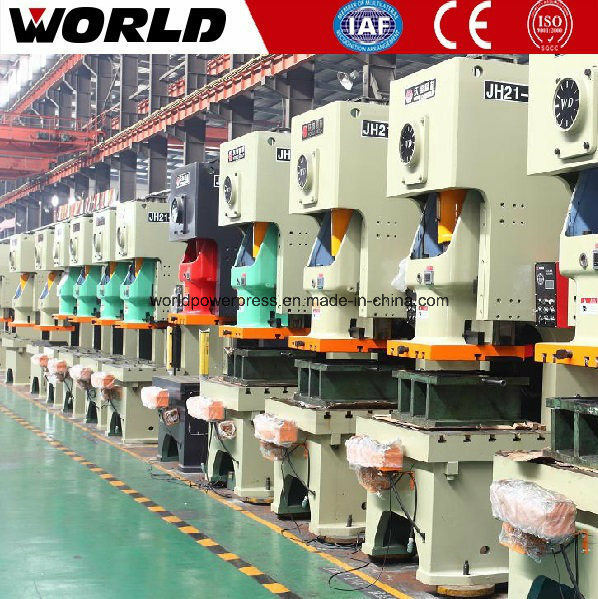 - JW36 HÂ frame double crank press, capacity from 110ton to 500ton. - JX36 close type big table press with double crank, capacity from 400ton to 1000ton. - JS36 close type gear press, capacity from 300ton to 1250ton. - JS31 close type gear press, capacity from 160ton to 1000ton.